Chicago has two Major League Baseball teams, the Chicago Cubs and the Chicago White Sox. Both are popular in the city, but there’s no doubting the Cubs are more popular both in the city and nationwide. You can see the Cubs play at Wrigley Field, and when they win you’ll get to engage in a decades-old tradition, the singing of “Go Cubs Go” as you exit the ballpark. One of the food traditions plenty of people know about Chicago, deep dish pizza is more a tourist thing than a local thing, but plenty of us still eat it on a regular basis. Don’t bother trying only one spot. Go to all the major players (Giordano’s, Lou Malnati’s, Uno to name a few) and some minor ones, until you find the one you like best. The nickname isn’t because of the wind, though it is windy. The precise origins are up for debate, but most sources trace it back to some rival city—be it New York or Cincinnati—finding us to be a bit into ourselves. It was right in front of us for years, but somehow the riverfront went mostly unused until the mid-2010s. Now, you’ll find amazing bars and restaurants along the river downtown. Swing by after work for a drink and watch the architecture cruises go by. 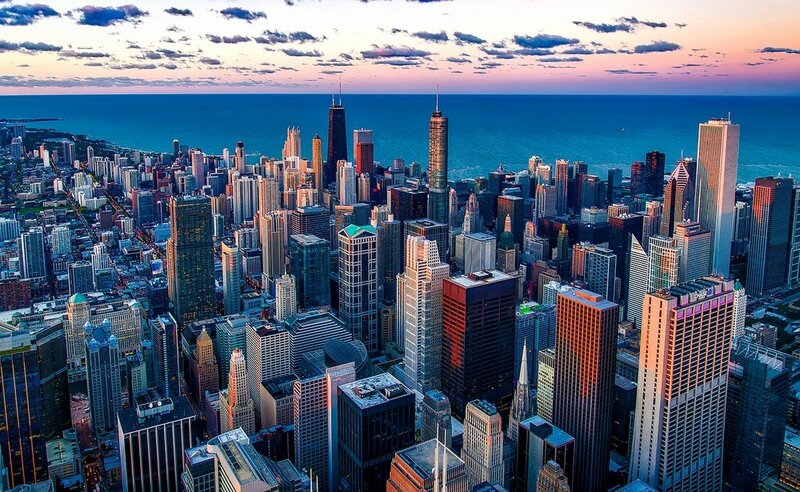 Chicago is more affordable than cities like New York and San Francisco, and you won’t have to compromise on luxury. In Chicago, you’ll find buildings with movie theaters, indoor dog parks, and rooftop pools in great locations at reasonable prices. Chicagoans don’t really go to Navy Pier. There are fireworks in the summer, so it might be worth one visit. Mostly, though, it’s just shops and overpriced restaurants and activities. Wait until someone visits you and insists on seeing it before going yourself. Chicago traffic radio is a thrilling experience. In a matter of seconds, you’ll hear everything that’s going on with the Kennedy, the Stephenson, the Dan Ryan, the Eisenhower, and the Edens. All of these refer to interstate highways—some even refer to the same interstate at different points. Looking for a luxury rental in Chicago? Looking for a Chicago rental? Complete this form and an agent from Carlson Realty Group will be in touch to help find you the perfect home! Please share a little about what you're seeking in your new home! Chicago is a city of neighborhoods. From Wrigleyville to Hyde Park to Pilsen to Austin, the neighborhoods all have identities they cling to, and each is more proud than the next. No one ever knows for sure which one is the next big neighborhood, so be sure to network and make it to some off the beaten track, you might discover an unknown gem! Lincoln Park is the largest park in Chicago and the second-most visited park in the United States. 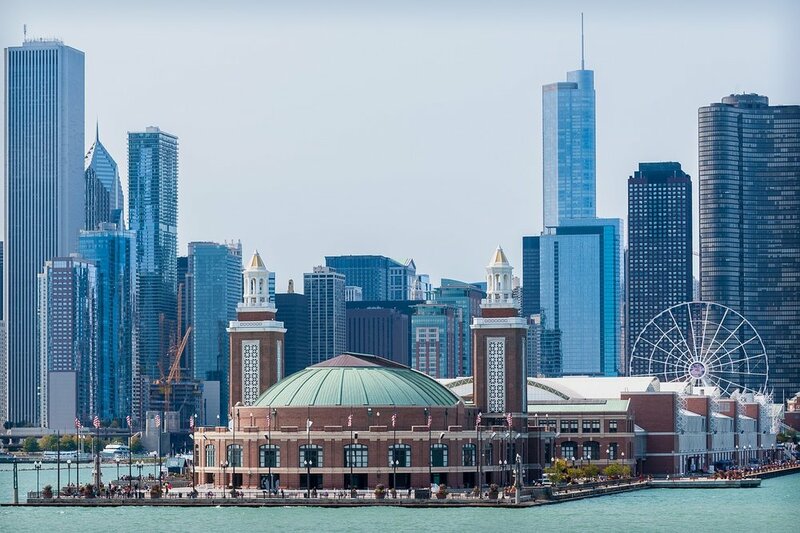 Many Chicagoans don’t even realize it stretches 7 miles along the waterfront, far beyond the one mile from North Avenue to Fullterton that people often attribute to the name. In Lincoln Park, you’ll find beaches, museums, a zoo, docks, and a variety of sporting facilities. If you love the outdoors, you’re going to love Lincoln Park. We may be split on baseball, but Chicago is truly united as a Bears town every Sunday. You can drive down Lake Shore Drive and see Soldier Field—it’s the one that looks like a spaceship landed in real Soldier Field. From noon to 3pm (or whenever the game is) on Sundays, all Chicagoans are united in hoping the Bears can pull off the win. If they can’t, we can all at least hope the Packers lose. There’s a reason Anthony Bourdain loved Chicago—our food scene is spot-on. Chicago has 22 Michelin Starred restaurants for 2019, from world-renowned Alinea to offbeat Schwa. If Michelin stars aren’t your thing, check out more of our fast food. Italian beef is a staple—although few Chicagoans want to admit you have to go to Johnnie’s Beef in suburban Elmwood Park for the best one. And don’t forget the pizza puff! Sure, there are neighborhoods within the city, but these aren’t suburbs—they’re part of the city. Evanston, home to Northwestern University is definitely worth a visit. 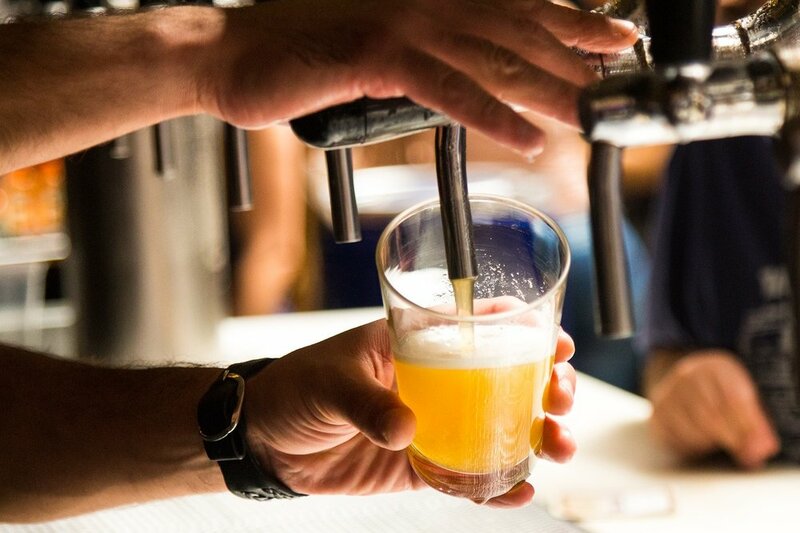 In Rosemont, you’ll find the Fashion Outlets of Chicago and nearby Hofbrauhaus Chicago. And Oak Park has several homes designed by renowned architect Frank Lloyd Wright. Chicago’s “flagship” avenue is Michigan Avenue, with its Apple Store, Burberry, and Tiffany store bracketed by the John Hancock Center at the north and the Wrigley Building at the south. But boy does Michigan Avenue get crowded. For fancier shopping and smaller crowds, turn off onto Oak Street and into Gold Coast. Besides being really into hating ketchup and loving our baseball team that couldn’t win for 100 years, Chicagoans also have a unique obsession with architecture. We love our buildings of varied heights and ambitious designs. From the lowly Water Tower—which survived the Chicago Fire—to the towering Sears Tower, we’re proud of the design history of our city. Plenty of Chicagoans think Daniel Burnham is the greatest person to ever happen to the city, even if they can’t identify a single building he designed. Our music doesn’t stop with “Go Cubs Go”—heck no. House music, jazz, and blues have a cemented history in the city, but rock, hip-hop, rap all have their place in the city’s musical culture. Check out Green Mill Jazz Club for great music at one of the most historical spots in the city. For big names in a trendy neighborhood, head over to Thalia Hall in Pilsen. There is so much good craft beer in Chicago, but Revolution is a popular favorite. They have two locations—a Brewery and a Brew Pub—northwest of downtown. If you can’t make it to those, worry not, most bars in Chicago carry at least one Revolution beer. Anti-Hero, an IPA, is undoubtedly one of their more popular beers, but “Chicago Pale Ale” Fist City is another hit, and winter seasonal “Fistmas” is not to be missed. It’s so easy to get around Chicago. The majority of the streets are arranged in a grid system, each with a -00 number and a direction (North, South, East, West). At 0 North / South and 0 East / West is the intersection of Madison and State. From there, every 800 is one mile and a major street, with every 400 having a somewhat less major street. I don’t know what’s at 3611 N Pulaski, but I know that from 1200 N Halsted (which is 800 west) I just need to go 3 miles north to Addison at 3600 North and 4 miles west to Pulaski at 4000 West, and I’ll be close. The Loop is the true downtown / business district of the city. It is bounded by the Chicago River (“the river”) to the north and west, Lake Michigan (“the lake”) to the east, and Roosevelt Road to the south. The Second City is an improv theater in Chicago. It has housed John Belushi, Tina Fey, Steve Carell, Jane Lynch, and a host of other comedy legends. Grab tickets and catch a show, they’re nightly! Chicago is home to one of the World Marathon Majors, the Bank of America Chicago Marathon. It’s a stunning run through the city, and the pinnacle of Chicago running. But there’s so much more to Chicago running than the marathon. With the 18-mile long Lakefront Trail and the 606, an elevated running trail, Chicago has excellent options for training at all distances. And we don’t stop running just because winter hits. After the Chicago Marathon in October, you’ll find fall runs, Turkey Day runs, Christmas runs, winter half marathons, and a host of other runs. The water fountains may shut down in late fall, but you can run along the Lakefront Trail in all kinds of weather. The White Sox play in “The Cell” or in “Comiskey Park.” No one keeps track of what its official name is this week. Deep dish gets all the attention, but plenty of Chicagoans (your author included) think the thin crust pizza is really the winning recipe. Chicago’s thin crust pizza is made with a thicker, crispier crust than New York variations, and it’s cut into small squares. 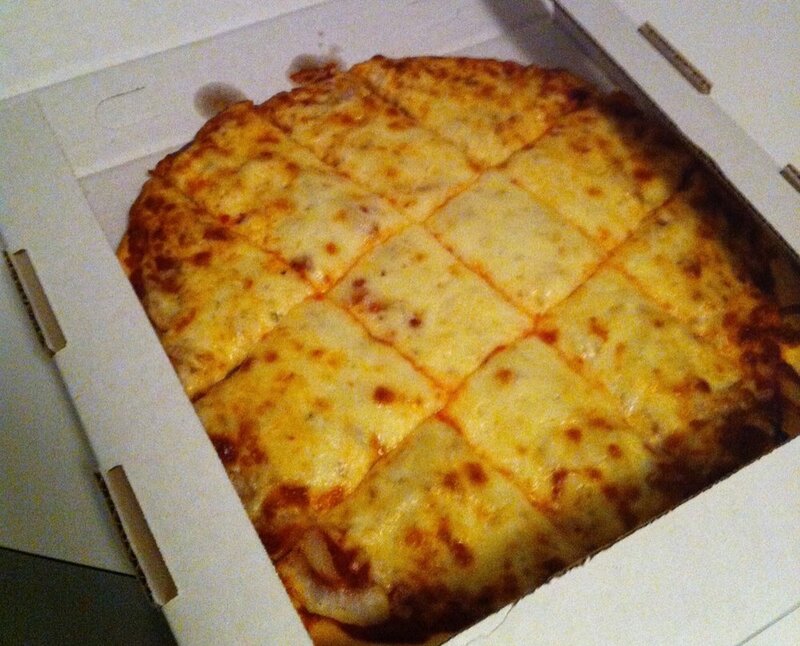 Most local pizza joints serve this and not deep dish. Try it out and decide, are you a fan of end pieces or middle pieces? 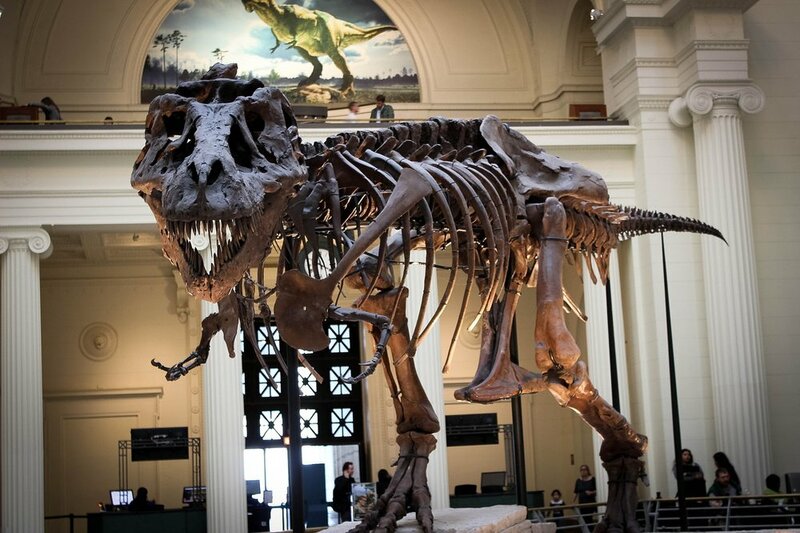 The Field Museum, The Art Institute and The Shedd Aquarium are all amazing landmarks in downtown Chicago. Any of these places could be explored over the course of multiple days, and each is home to world class exhibits. Many locals are way into their Midwest roots, and that means manners are important. Be polite. Say “please” and “thank you.” If you see someone on the street who looks lost, offer to help them find their way (grid system, remember). Chicago’s coffee scene is on the upswing. Starbucks caught onto this, and is giving Chicago its largest roastery in the world (the city is already home to one of Howard Schultz’s favorite stores at Oak & Rush). But Starbucks doesn’t always cut it, and craft coffee businesses like Dark Matter, Wormhole, and Osmium are elevating Chicago’s coffee scene to the next level. You’ll find farmers markets throughout the city, mostly during the summer months. One popular one is the Green City Market in Lincoln Park, which is outdoor during the warmer months and indoor during the winter months. Also in Lincoln Park is the Lincoln Park Zoo. The Lincoln Park Zoo is one of the oldest zoos in the country and one of the largest free zoos in the country. If you’re in Lincoln Park, take a walk through it, and check their calendar for events like Zoo Lights and Zoo-Ology. Despite being called the “Second City,” Chicagoans don’t really think much about other “bigger, better” cities. New York seems cool, and it’s got grit. Los Angeles has celebrities and warm weather. But you either get Chicago and want to be here because it’s amazing, or you’d rather be somewhere else. We don’t care which, let’s just make up our mind and enjoy the city we love. Chicago has beaches, and during the summer they are packed. Lake Michigan won’t be the most pristine water you’ve ever swum in, but it gets the job done. If you’re into triathlons, you can run, bike, and swim along the lake. Downtown, you’ll find, from north to south, the following streets: Washington, Madison, Monroe, Adams, Jackson, Van Buren, Harrison, Polk, and Roosevelt. There are a few in between, but these “presidential” streets go in the order they held the office (assuming “Adams” refers to John Quincy Adams, of course). First, the requirements for a Chicago Style Hot Dog are straightforward. All-beef hot dog, on a poppy seed bun, topped with chopped white onions, yellow mustard, neon green relish, tomato slices, a dill pickle spear, sport peppers, and celery salt. Second, if that doesn’t work for you, whatever you do, don’t put ketchup on it unless you’re under the age of 10. The most fundamental element of Chicago’s history is the Great Chicago Fire. From October 8 to October 10, 1871, the fire destroyed 3.3 square miles of downtown Chicago. Lesser known, though, is the 1894 fire that destroyed the “White City” of the 1893 World’s Columbian Exposition. Had the White City survived and been maintained, it might well be one of the most beautiful spots in the city. The city has three “sides.” The North Side, the South Side, and the West Side. There is no east side, as east of downtown is simply the lake. There is a neighborhood called “East Side,” but it’s really on the South Side. While Madison is technically the 0 North / South street, the South Side doesn’t really start until Roosevelt at 1200 South, and the North Side starts around Chicago at 800 North. Between those two streets, you’ve got “Downtown,” “Near West,” and eventually the West Side. These are rough guidelines, and you can find “actual” maps around the internet, like this one. The South and West Sides get a lot of negative press because they are where much of Chicago’s crime is concentrated. But there are plenty of reasons to visit these areas of the city. Hyde Park on the South Side is home to the University of Chicago, which has a positively stunning campus. Pullman is another South Side neighborhood that merits a visit. On the West Side, you’ll find the incredibly vibrant community of Pilsen, as well as hidden gems like the Garfield Park observatory. It’s going to get below zero. You’re going to see all manners of the “polar vortex” and other weird causes for freezing weather. But we go on with our day. Football is meant to be played in the snow, anyways. If you’ve never driven in it, you’ll need to develop the skills for driving in Chicago winters, where you’ll routinely be getting your friends together to push out your car and always throwing fresh snow at it to clean off those nasty salt stains. Malört is a bäsk (a type of alcohol) that you’re going to have to try in Chicago. Good luck. 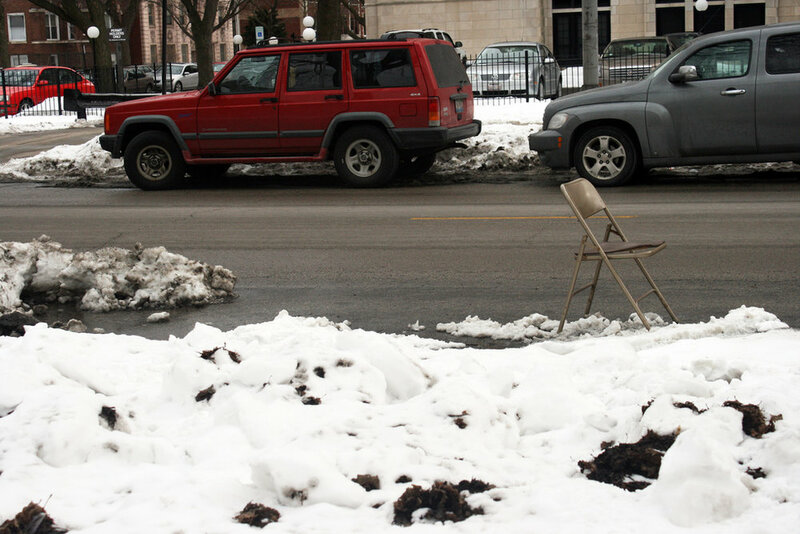 Dibs is a Chicago tradition whereby the person who plows a parking spot out of 4 feet of snow in sub-zero temperatures is entitled to reserve that spot for future use by placing a chair or other piece of furniture in it. If you live in a building with a parking garage, though, you won’t need to worry about dibs. Our two airports are easy to get to by international airport standards. O’Hare Airport, far on the northwest edge of the city is coded ORD and sits at the end of the Blue Line train. Midway Airport, coded MDW, is less international in its offerings. It is reachable via the Orange Line train. Midway is especially popular with frequent flyers of Southwest Airlines. “The L” refers to either the elevated train system specifically or to any of the Chicago Transit Authority operated train lines named after colors. The Red Line, for example, is only partially elevated, and most of the time it is underground, but it can still be referred to as part of The L.
Chicago is also accessible by commuter trains (the Metra) and regional / national Amtrak trains. Summer in Chicago is all about festivals. Streets close down to traffic and neighborhoods come alive. You’ll definitely want to plan for festivals like the Taste of Chicago, the Air and Water Show, Riot Fest, and Pride Fest! Weather doing something weird today? Blame the lake. “Lake effect” basically means the weather is being crazy and we think the lake must be to blame. Example: Snow in April? It was 90 degrees last weekend! Well, you know, it’s that lake effect snow. Chicago is the birthplace of softball, and one of the few places that still plays a variant of the original game. This leaves us as with a weird game many outsiders aren’t familiar with. 16-inch softball is played with a large (16” circumference) ball that is softer than a standard softball and—importantly—softens greatly as it is used. Since the ball is soft and large, you don’t need a glove to play, you just field barehanded. Like “The Cell,” no one cares that it’s called the Willis Tower today. Well, maybe Mr. Willis cares. But we’re gonna call it the Sears Tower. Also, it’s the second-tallest building in the United States and was for nearly a quarter-century the tallest building in the world. Ventra Cards are the transit cards of Chicago. They’re hard plastic cards, like credit cards. You touch them to touchpoints at train stations and on buses to board. You don’t need to scan out of the train or bus. The Chicago Theatre is an iconic theater on State Street just south of the river. Besides being iconic (and an amazing piece of architecture), it’s still an active theater where you can catch live performances throughout the year, from A Christmas Story: The Musical to Frankie Valli. All year long, you’ll find recreational sports going on in Chicago. From volleyball along the beach to indoor soccer to 16-inch softball, there’s always a team looking for players. Signing up for recreational sports is a great way to meet people when you’re new to the city. Every St. Patricks’ Day, Chicago dyes the river green. Of course, the Chicago River already looks pretty green, so they use a really bright neon green (like the hot dog relish). So if you see a picture of the river and it’s just a regular green, that’s just the river. If it’s a blinding neon green, it’s been dyed for St. Patrick’s Day. Thanks for reading! Need help finding a luxury Chicago apartment from expert agents? Complete this form and an agent from Carlson Realty Group will be in touch to help find you the perfect home!